Please choose up to 5 colours. 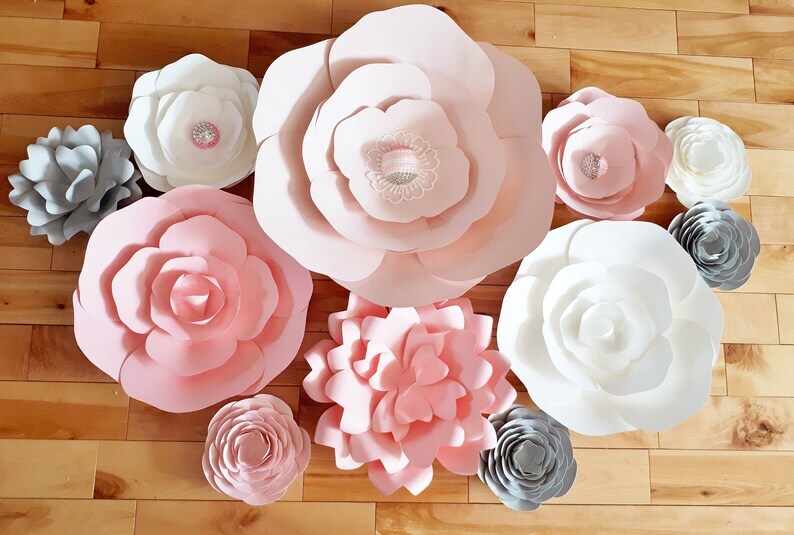 Set of 11 Paper Flowers beautiful for a baby nursery wall, as a flower wall or backdrop at your wedding or event. To accent a photo booth, or to spice up your living space. Choose up to 5 colours. Custom orders are always welcome.